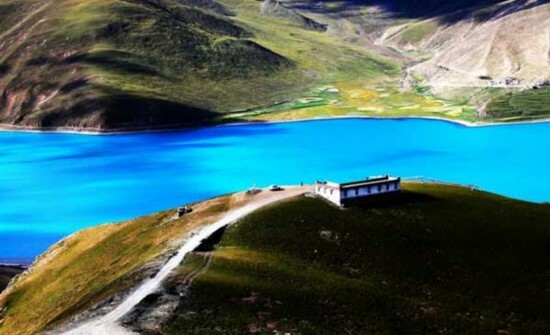 Yamzhog Yumco, means "swan pool" in Tibetan language, is one of the three holy lakes in south China's Tibet Autonomous Region. With a surface elevation of 4,410 meters, Yamzhog Yumco boasts an overall area of 638 square kilometers, measured as the largest inland lake in the north of the Himalaya Range. Yamzhog Yumco, means "swan pool" in Tibetan language, is one of the three holy lakes in south China's Tibet Autonomous Region. Photo from NetEase.